The goal for this dinner was to make the spicing very simple, make something the kids would happily eat, and have it all ready in thirty minutes, for an easy weeknight meal. Success on all counts! 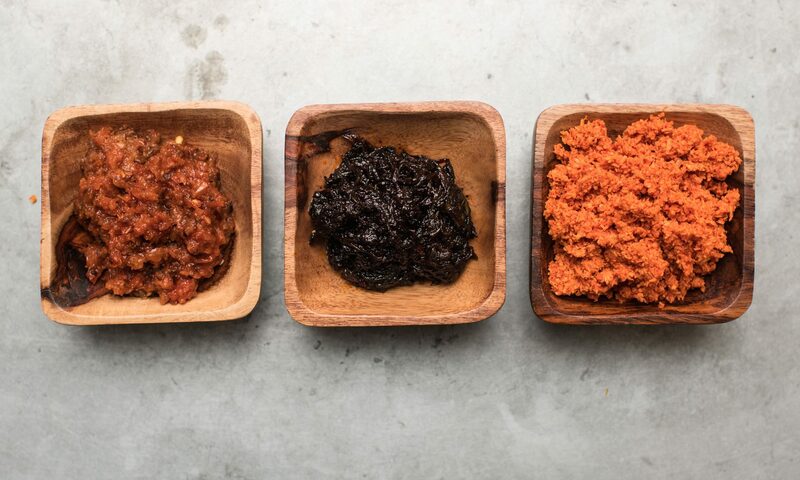 The flavors are honestly a little too similar for what I’d consider ideal — normally, I’d cook either the chicken or the cauliflower, and serve it with a contrasting curry. But when you’re tired and want dinner on the table quick, this’ll do nicely. If you have the energy to chop up some cucumbers and tomatoes, they’d add a nice crunch and contrast. You could stir them into a bit of yogurt for creaminess too. 1. Pre-heat oven to 400. 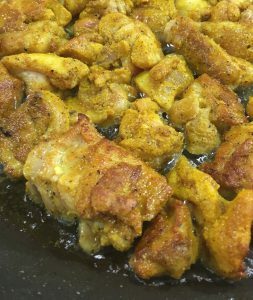 Cut chicken into bite-size pieces, mix with 1 t. each of the spices, set aside in a bowl. 2. 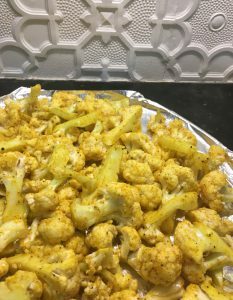 Cut cauliflower into bite-size pieces, mix with 1 t. each of the spices, along with 1/4 c. of vegetable oil. Spread on a foil-lined baking tray and put in oven to roast. Set timer for 20 minutes (or 25 if you prefer them entirely soft). 3. Start rice: Add 1 c. rice to 2 c. water, with a pinch of salt, in a sauce pan. Turn to high. 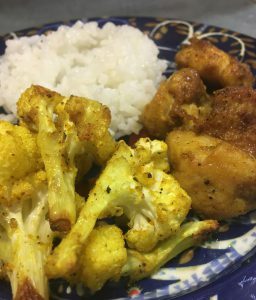 When the timer goes off for the cauliflower, serve with rice and chicken, hot.